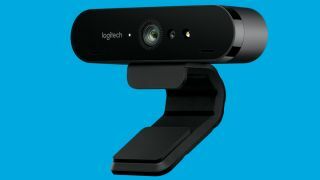 The call for external webcams might be much less these days – as opposed to the integrated cameras that come with most notebooks or tablets – but if you need a really well-specced webcam and are prepared to pay for the privilege, Logitech has a new model that boasts several industry firsts, including 4K and HDR support. Primarily aimed at streamers on YouTube who want to look as professional as possible with very high quality video, the Logitech Brio will do 4K footage at 30 frames per second (fps), and offers Logitech RightLight 3 with HDR (theoretically meaning a smooth performance in all lighting conditions, including tricky dimly lit environments, or overly bright spaces). (Do note that in terms of 4K, with video chat, you’re almost certainly going to be limited to 1080p by your service anyway, although the good news is that you get Full HD at 60 fps with the Brio). The camera also offers autofocus, 5x zoom (of the digital variety), and it supports Windows Hello for biometric logins (and indeed other infrared-based facial recognition systems). Furthermore, the camera’s field of view can be adjusted from 90-degrees to 78- or 65-degrees for a narrower image should you wish. The Brio also comes with dual omni-directional microphones that boast noise cancellation, so you don’t just get a good picture, but also sound (assuming you don’t use a separate mic for that). The Brio webcam is available to purchase from Logitech right now for £199 or $199 (about AU$325).